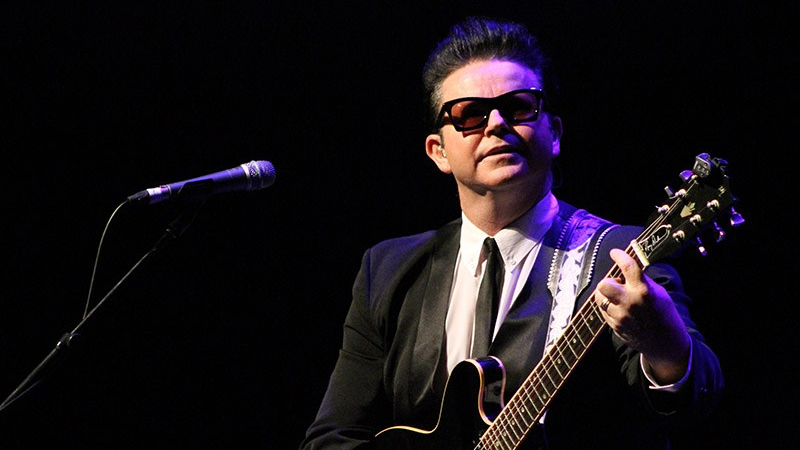 DEAN BOURNE is Australia’s most loved and longest running Roy Orbison tribute artist. To mark Bourne’s 20th year performing as Roy Orbison and on the back of a sold-out 2016 national tour, he will return to Canberra for a standalone tour that will see him once again showcasing the very best from The Big ‘O’, including all the big classic hits. Dean Bourne has been performing since he was ten, but started performing Roy Orbison songs in 1997 when he overwhelmingly won over judges and producers with his Roy impersonation. We caught up with Bourne to discuss his passion and history performing Orbison’s music. Why do you think people need to experience Roy Orbison’s music in a live setting? Roy Orbison was such a unique artist, unlike anyone else. His musical career spanned over three decades with millions of record sales and number one hits all around the globe. His music is still as popular as ever, even nearly 30 years after his untimely passing at the age of only 52. Unfortunately for us all we will never get to see Roy Orbison live again, but I am able to take people back in time and relive all of Roys biggest hits and take a journey back through Roy’s incredible life of highs and lows, through my show. Roy left us with an incredible music legacy, songs that millions of people still love and play all around the world. Roy was a very humble, gracious man who just wanted to share his music with people. He was once asked how he would like to be remembered, and he simply replied, “I would just like to be remembered,” and that’s exactly what I intend to do and what I have enjoyed doing so very much for the past 20 years. Do you feel that something that Orbison had has been lost in today’s music? Partly, yes. I try to listen to all styles of music but I always come back to Roy. Roy’s incredible vocal ability sometimes overshadowed his brilliant songwriting ability. Roy wrote songs unlike anyone else; I would describe his songs as being straight out of left field, he just wrote music how he wanted to and he was simply the best at doing so. Roy was able to connect to people through his songs; he sung about love and loss, subjects that ordinary people could relate to. His songs could take you back to a time and place in your life, sometimes happy times, sometimes sad, but you go there instantly as soon as you hear his songs – they can make you cry. He was a genius. Tell me about the experience you’ve had listening to Roy Orbison throughout your life. Roy Orbison has had such an unbelievable impact on my life. Roy’s music has allowed me to tour Australia and many other places around the world. I feel a certain closeness to Roy even though I never got to meet him. I get to meet so many people and have made lifelong friends through performing Roy’s music, it’s certainly a gift that I never ever take for granted. I have the utmost respect for Roy, his music and legacy, and I take performing as Roy most seriously and respectfully. I have met many people over the years who were close to Roy and worked with him and they have all said how proud Roy would have been of the job I do, which is extremely humbling. Technically speaking, are there any Orbison songs that are more challenging to imitate? In terms of playing style or vocals? There are so many! K.D. Lang once said Roy made it look effortless, but it wasn’t without effort, which is a perfect description. Roy’s vocal range was unbelievable, he had a three-octave vocal range with strength and quality unlike no other. ‘Walk On’ is a song that comes to mind that is a difficult one to sing, albeit such a beautiful song. What do you hope your audience will take away from this concert? I hope that my audience enjoy my show and I hope that they walk away having learned a little bit more about Roy and his life than they knew before. I hope they take away just how brilliant and special Roy actually was and remember him just as he wanted to be. Dean Borne is celebrating 20 years performing as Roy Orbison, and is playing the Southern Cross Club on Saturday July 8.